Opposition Leader Kamla Persad-Bissessar called for the public to join her in yellow saris outside the office of the Prime Minister to ask him to apologise for a skit which she thought was offensive. 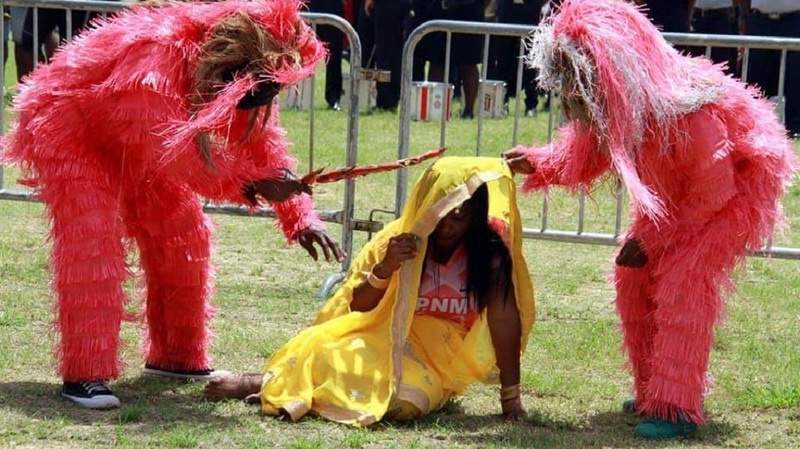 In a statement shared to social media on Tuesday, Persad-Bissessar said the skit, which took place at a PNM family day and showed a woman being removed of her yellow sari by ‘PNM guerillas’ to reveal a red PNM t-shirt underneath, was ‘shameful and insulting to all women’. “Join us in yellow, let your voices be heard. 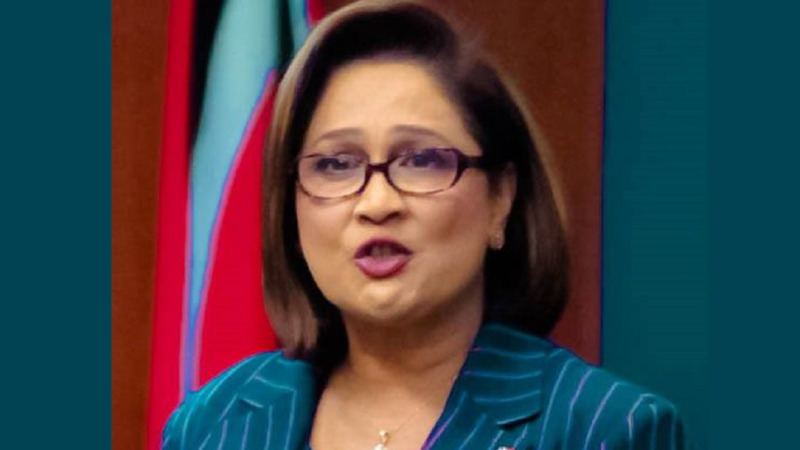 We must defend our mother's sisters and daughters and demand that PM Rowley and Minister Young apologise and retract their statements,” she said. 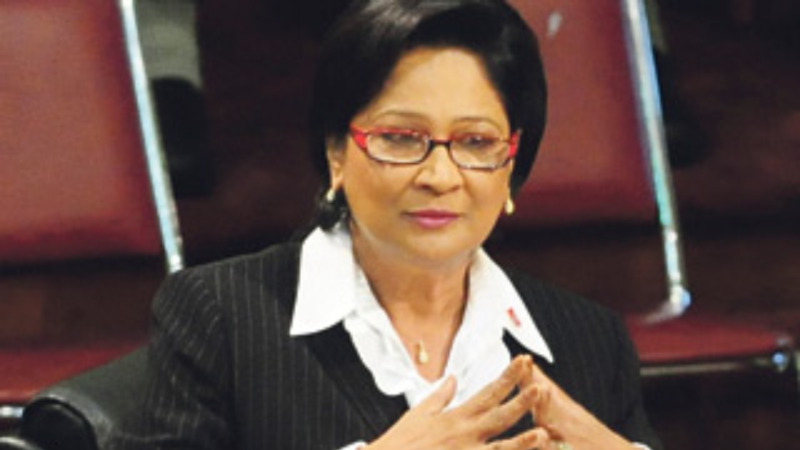 Persad-Bissessar also responded to National Security Minister Stuart Young who said during a media briefing on Monday that the incident was a ‘bit of fun’, saying women must refuse to be bullied. “As a citizen we must demand that the Government act in the interests of all our citizens. We must refuse to be bullied, and treated as second class citizens with no rights, by those whose salaries we pay,” she said. Pundit Satyanand Maharaj said the objective of the gathering is to demand an apology from National Security Minister Stuart Young and Prime Minister Dr Keith Rowley for the skit. The skit has caused outrage with former People’s Partnership minister Devant Maharaj writing to the Equal Opportunity Commission (EOC) to look into the matter. Maharaj said the scene was reminiscent of the tale of Draupadi from the Mahabharata, where she was forced to unravel her sari before her enemies. However she prayed to Lord Krishna and her sari continued to unravel without end, causing her oppressor to stop out of exhaustion. Young emphasised that the PNM does not have any racial or religious hatred and values inclusivity and diversity, while Acting Attorney General Fitzgerald Hinds said that the woman in the skit was not disrobed but ‘yellow cloth was removed to reveal red cloth’. Hinds said on CNC3's Morning Brew that the skit was part of a march-past put on by one constituency and had not been viewed before by the party. "That was part of a march-past routine from one constituency...we don't pre-check what march-past routine will be put on...we trust that they will do things in a non-offensive way and we consider what was done to be absolutely non-offensive," he said. 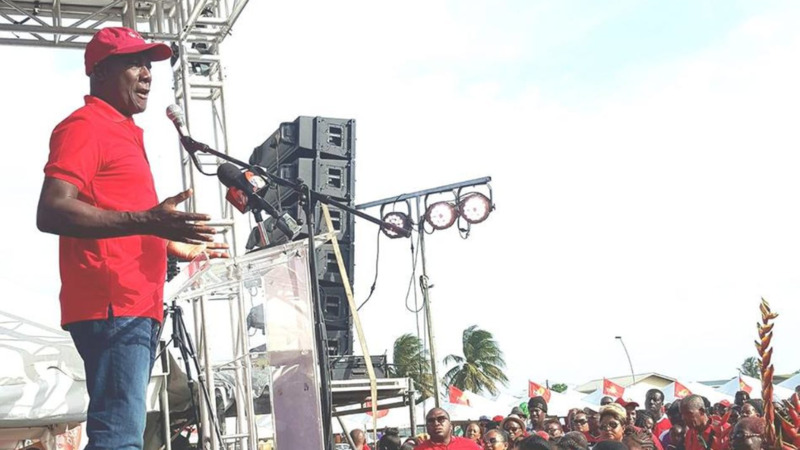 Dr Rowley said to reporters on Tuesday that the matter was ‘foolishness’.